You are here: Home / Product Reviews / Babies & Kids / Nosilla Organics: Adorable Kids Clothes, Better for The Planet and Kinder to the People! Enter to Win a $50 GC to Buy Your Own Outfit! Nosilla Organics: Adorable Kids Clothes, Better for The Planet and Kinder to the People! Enter to Win a $50 GC to Buy Your Own Outfit! If you’ve never heard of Nosilla Organics, well, you sure are missing out. If you are looking for clothes that are good for the planet and decently priced, you should consider Nosilla Organics. All of Nosilla Organics garments are made using 100% SKAL Certified Organic Cotton and are produced with GOTS (Global Organic Textile Standard), Organic Exchange and Oeko-Tex Standard 100 certifications. In addition, our factories are Certified Fair Trade by FLO (Fairtrade Labelling Organizations International). When Nosilla Organics was awesome enough to send me a super adorable outfit for Mimi, I was stoked. They have so many cute things for boys and girls and babies! Nosilla Organics makes clothes for sizes 0 to 4T. I was sent a Navy, Teal, Pink and Red Floral Pocket Dress with a matching navy blue pair of pants. It is a Spring Tulips print. It retails for $35.00. The cotton is so ridiculously soft and the colors are so vibrant. It is soft A-line dress where micro gathers at the neck and hip pockets and gentle puff sleeves at the shoulders that totally adds style to this sweet dress. Since my little one is, well, a wee one… She didn’t quite fit into the 3T. It was a big large for her but, we remedied that by adding a cute belt that gathered the dress at her waist and it added a little bit of extra flair. I added a super fabulous bright teal bow on her head and finished the outfit off with a cute pair of silver flower sandals and she was good to go! When I find an online specialty boutique that provides quality clothing, that pays their employees fairly and that is ethical all around, I am a loyal customer. 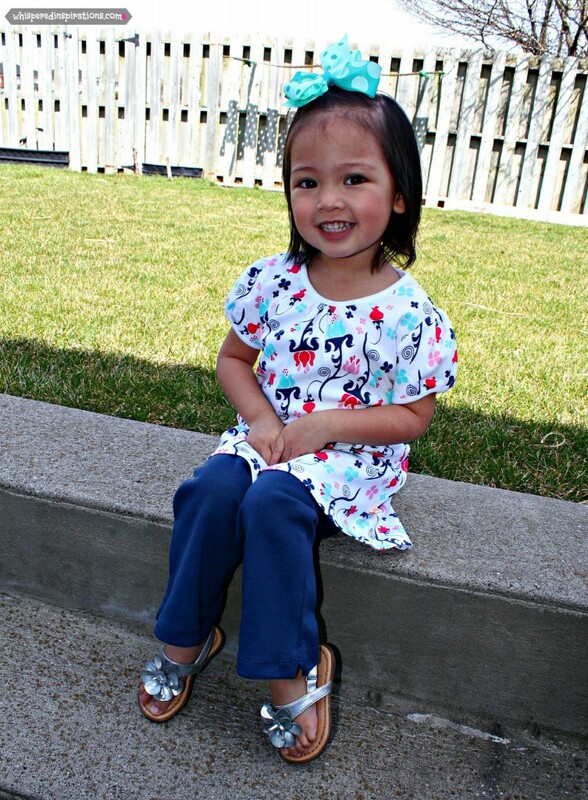 Nosilla Organics allows you to mix and match tops and bottoms so you can make your own outfits. They also have my Fair Fairy outfits that are perfect for playing dress-up. This dress in particular can be worn without the pants but, since it’s still a bit chilly the pants worked out perfectly. I love the versatility of this pocket dress because it can be worn with flare pants, tights, capri’s or just the dress itself. I love that it’s gentle on their skin and durable enough to play outside! You can always shop online but, make sure to check out their retail stores near you. That way you can see them before you buy it or if you need a cute outfit right away! Find a location near you, here. 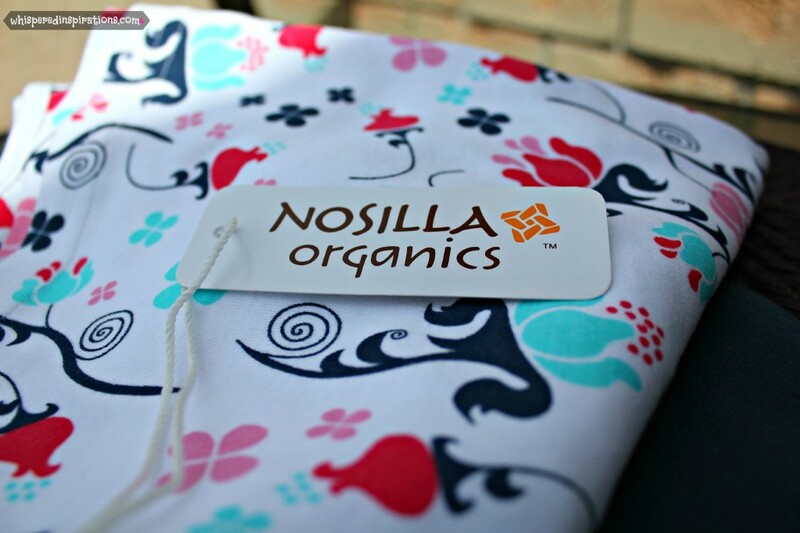 If you’re looking for 95% Certified Organic Cotton 5% Spandex clothing, that is non-toxic and fibre reactive AZO free dyes make sure you visit Nosilla Organics. You can also “like” Nosilla Organics on FB and follow @NosillaOrganics on Twitter. If you’re a pinner, follow @NosillaOrganics on Pinterest. Win a $50 Nosilla Organics Gift Card! Thanks to the lovely people over at Nosilla Organics, one lucky Whispered Inspirations reader will win a $50 Gift Card to pick an outfit of their choice. With the Spring Collection on it’s way, it’s the perfect time to WIN. Giveaway opens April 18th, 2013 and Closes May 02, 2013. Open to Canada and US. Which adorable Nosilla Organics outfit would you like? My daughter wears a dress almost every day, sometimes twice! I couldn't find your dress on their site but I found this cute yellow one that would do the trick ). I love to support Canadian and organic. Double win here! Your daughter is adorable in that dress! I'd love this one for my own 2 1/2 year old girl. . I'd most like to win Footie – Violet Seahorses. It's adorable. I like the Baby Flutter Dress with Bloomer in Cherry Blossom! That is so cute!! My daughter lives in dresses and skirts! My recent post Breaking news! I'm a @PTPA Blogoholic!! Oh my goodness! It's so sweet! The Sweet Bloom Fairy Dress is so sweet 🙂 . They are all so cute! I have a boy and I really love The French Terry Pant – Black, Pocket Pant – Red, Beanie Hat – Red Multi-Stripe and Flip Foot PJs – Sky Blue T-Rex. Thanks so much! I like the Sweet Bloom Fairy Dress – Fuchsia – so pretty! 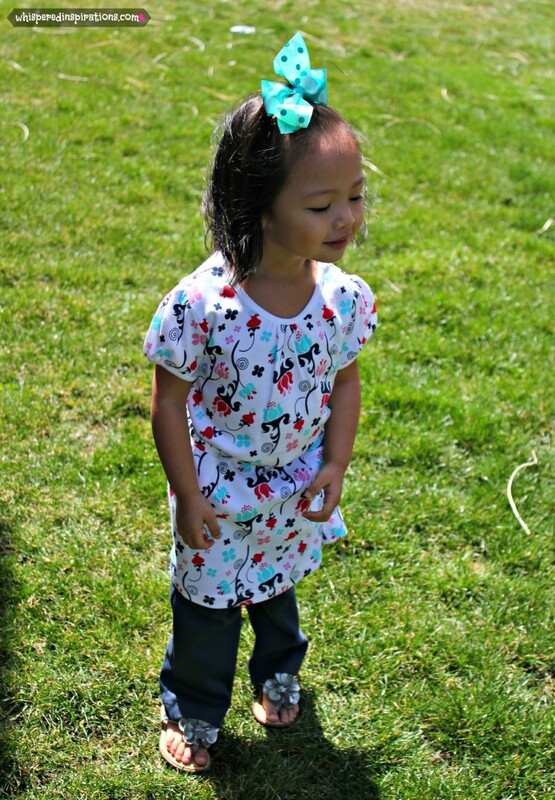 I'd get my daughter the Bubble Pocket Romper – Rainbow, love it! I'd pick the Ruffle Swing Dress – Rainbow for my little girl! i love the Ruffle Swing Dress in Pink Peonies! The rainbow dress and peony are looking great!! My son would go crazy over the blue monster truck shirt. I like the Ruffle Swing Dress – Yellow Polka Dot. I am in love with the boys' kimono body suit–brown owls. The clothes are absolutely adorable. Love the little Synch tunic! My Grandaughter (& her Mom!) would love the Sweet bloom Fairy dress in Fuschia! Thanks for the chance….